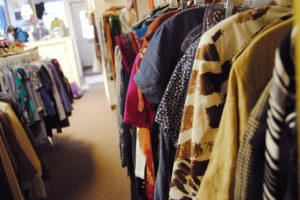 The PennyWise Thrift Store is a resale store full of beautiful clothes, household items, books, cards, and gift wrap – but more than that 0 we are a nonprofit serving local families. Stop by and explore – it’s a wonderful place to find great bargains and treasures …and a way to support the community too! Please consider donating any gently used items to our store and receive a coupon for up to 20% off your next purchase. The PennyWise Shop has opened in its new home, the Grace Family Center and serves anyone in Mound/Westonka area. The address of the Grace Family Center is 2443 Commerce Blvd, Mound. We are in the same location, but a new building – come check it out! Your generosity is very much appreciated by those who are in need! Please feel free to drop off your donation items or monetary donation directly at the Pennywise Thrift Shop in our new location inside the Grace Family Center. The address is 2443 Commerce Blvd, Mound.